Johnson City Elementary Intermediate School Elementary School, High School / Public 3 1.58 mi. Johnson City Elementary Primary School Elementary School / Public N/A 1.58 mi. Johnson City Middle School Middle School / Public 4 1.58 mi. Johnson City Senior High School High School / Public 5 1.52 mi. Blessed Sacrament School * Pre-School, Elementary School / Private N/A 0.55 mi. St. James School * Pre-School, Elementary School / Private N/A 0.7 mi. 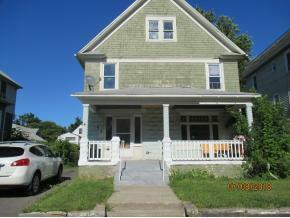 63 Crocker Avenue, Johnson City, NY 13790 is a 4 bedroom, 1 bath single family home was sold for $41,905 by Darlene Monk in the Endwell/Binghamton real estate office.